“Powerful 20th-century String Trios Prove A Real Discovery”. 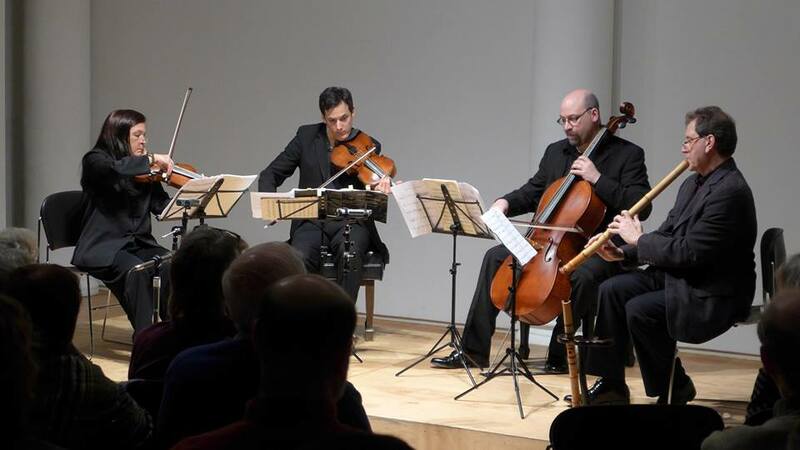 Chamber music is the ideal medium for composers with a knack for polyphony. Here we have a fascinating disc of string trios by two exact contemporaries who were among the victims of Hitler’s Germany. 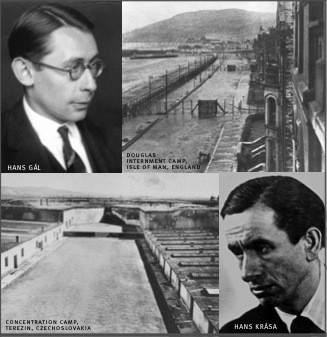 Hans Gál fled to Scotland and lived a long (if obscure) life, while the Czech Hans Krása was interned at Terezin and killed in Auschwitz in 1944. While their music differs in intensity, both men were skilled at writing counterpoint so all these works are full of interest. Gál’s Serenade dates from 1932. Notable for its high spirits, it follows in the wake of similar trios by Beethoven and Dohnányi. The Trio of 1971 is understandably more autumnal in quality (apart from its Mendelssohnian Scherzo) and features a set of gentle, lyrical variations as its final movement. Krása’s music was heavily influenced by the Second Viennese School and is made of tougher stuff. Tanec (or Dance) is a short work evoking the sound of trains, with a tender chorale in the middle section. In the powerful Passacaglia and Fugue, the underlying emotional impetus stretches these highly structured forms almost to breaking point in Krása’s final composition. The performances by the Ensemble Epomeo are beyond praise: lively, warm-toned and well balanced in excellent sound. Cellist Kenneth Woods penned the informative sleeve note. Genuine buried treasure here. It’s time for another sneak peek at the liner notes for our upcoming CD. As you know, we’re right in the thick of an urgent fundraising campaign to get this disc out. We’re going to need to raise about $8000 USD to get this thing out, and need to raise at least $5,000 of that from our current Indiegogo campaign. The great news is that we’re making fantastic progress, and have already reached nearly %25 of our goal. You can help by making your donation, however big or small, and by spreading the word to friends and fellow music-lovers, especially via Facebook and Twitter. Czech-born Hans Krása was one of the leading talents of a generation of composers inspired by Mahler, Schoenberg and Zemlinsky. After a string of early successes, Krása took a seven-year break from composition before coming into his full maturity in the 1930s. He is best remembered today for his 1938 children’s opera, Brundibár, a work that would be performed 55 times during Krása’s internment in the Terezin Ghetto during the Second World War. 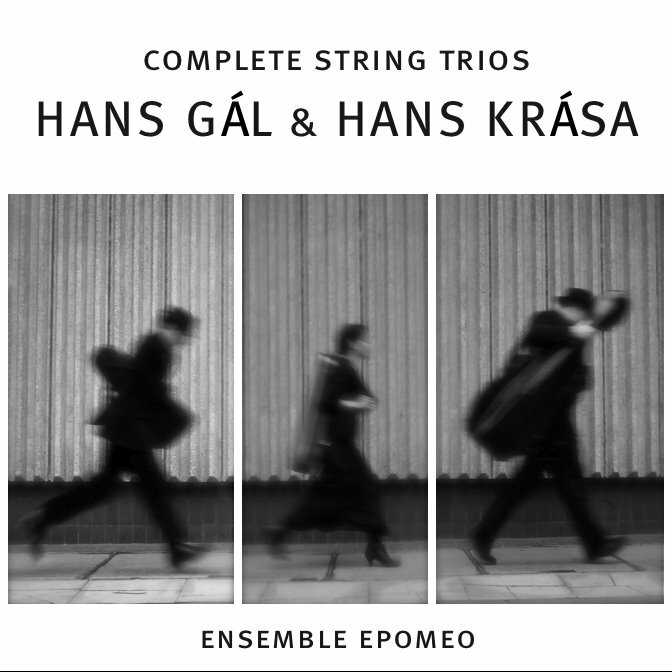 Krása’s called his first string trio, completed in 1944, Tanec, or ‘Dance,’ but the title seems intentionally misleading. The churning ostinato with which the cello begins the piece is just the first of several bits of music tone-painting that evoke the sound-world of trains, in an atmosphere that ranges from eerie nostalgia, to barely contained menace, to explicit violence. The main dance theme, heard first in the violin, is frequently poised on the edge of mania, finally tipping over the edge on the work’s final page. The Passacaglia and Fugue from later that same year was Krása’s final completed work. Krása takes these two ancient forms, in which the rules of rhetoric are traditionally engaged to give structure and lucidity to the exchange and development of ideas among independent voices, and profoundly deconstructs them. Rather than contrapuntal engagement leading towards reason and clarity, both the Fugue, and the Passacaglia that precedes it, essentially ‘fail’, as discussion degenerates into argument and argument descends into violence. The primary theme of the work, the repeated figure that forms the structure of the Passacaglia, is first heard in the cello, but also often present is the ‘dance’ theme of the earlier Tanec. The Passacaglia opens in gravely austere beauty, but in the course of the variations that follow, the emotional temperature gradually rises until all hell breaks loose. After a desolate codetta, the viola begins the Fugue, on a speeded up version of the cello’s Passacaglia theme. The contrapuntal exchanges gradually become more rapid and intense, until, in the coda, the developmental process breaks down. Rather than engaging in reasoned dialogue and perpetual development, the music becomes violent and primitive. The cello repeats the passacaglia/fugue theme obsessively, fortissimo, all pretense of development abandoned, while the violin and viola scream out the ‘Tanec’ theme and the work drives headlong to a terrifying conclusion. Krása was deported by train to Auschwitz alongside his fellow composers Gideon Klein, Viktor Ullmann and Pavel Haas on 16 October 1944 and was killed in the gas chambers two days later. By JC Lockwood, Newburyport Arts JourntalRead the original here.Got so wrapped up in the Ensemble Epomeo’s program for “Music and the Manse” and our new appreciation for the Italian language, that we forgot to talk abut the new guy. And the old guy. But it turns out that the last time we saw Byron Wallis — during Ensemble Epomeo’s Port debut last year, when the trio rolled out, among other things, a magical performance of Schnitke’s String Trio, the piece that brought the group together in the first place — will likely be the last time we ever see him. The Paris-based violinist is no longer performing with Epomeo. He’s been replaced by Carolyn Chin, a rising classical star who with a packed resume that includes leading the conductorless String Orchestra of New York City, performing as concertmaster with the Paragon Orchestra and touring the United States and Japan with the tap dancer Savion Glover.No, there’s nothing particularly nasty going on. Just the usual “creative differences,” which often, just below the surface, are about personalities, plus the fact that working with someone who lives and performs thousands of miles away from the Center of the Universe — that would be New York — makes the whole trio thing just a little too complicated. Wallis, who frequently performs with the Orchestre Nationale d’lle de France, “is a terrific guy, one of the sweetest and gentlest guys I know,” says Epomeo violist David Yang. “We just had different approaches. We are still good friends so I think I can say the parting was mostly mutual”Yang, who is also artistic director of the Newburyport Chamber Music Festival, performed with Chin a couple of years ago at the Norfolk Chamber Music Festival, always liked her and her playing. “In addition to being a truly impressive musician with outrageous chops she is also an unusually honest person, and that is important,” says Yang. “She has a core of steel, too. By this I mean she is a real leader — a strong personality in the group. A trio is so small that everyone needs to hold their weight, but even in the more democratic form of a trio (versus string quartets, in general) you need a violin who likes to lead. So personality is really important. I mean, look, we just spent two weeks together rehearsing, I kid you not, eight hours a day. You think that is going to work for very long if we don’t know how to get along? You don’t have to like one another, but you have to respect one another. We have had disagreements, but the amazing thing is how non-personal it is.“The stakes, while they may seem small outside, can feel enormous in a group,” says Yang. “Differences in interpretation, in pitch, timing. A small disagreement can feel very personal – can you play that note a little higher? No, why would you want that? It sounds terrible? Well I think your way sounds terrible? Who are you calling terrible? How dare you? And so on. It is important to me to play with people I admire as players and also as people.”Epomeo, which also includes Kenneth Woods, founder of the Taliesin Trio and the Masala String Quartet as well as principal guest conductor of the Stratford-upon-Avon-based Orchestra of the Swan, takes its name from the non-active volcano that dominates the landscape of the small, sun-drenched Italian island of Ischia, where the trio is currently holed up. The group is the resident ensemble of the island’s Festivale d’alla Musica da Camera d’Ischia‚ a 10-day chamber music festival and intensive study retreat. They’ll have little time, just four days, between Ischia and the Port performance, which, itself, is part of the Newburyport Preservation Trust’s weeklong festival. The program will include “Thrice blest,” a world premiere by Kile Smith that is based on music by 17th-century Newbury composer John Tufts that came from a hymnbook discovered by NCMF executive director Jane Niebling. Also on the program will be the Sitkovetsky transcription of Bach’s Goldberg Variations for string quartet and Beethoven’s String Trio in D major, which Yang says is the “core” of the program for the trio.JUST THE FACTS, MAN: Ensemble Epomeo will perform at “Music and the Manse,” a benefit for the Newburyport Preservation Trust, May 21 at the 18th-century Henry C. Learned House, 190 High St., Newburyport. The program includes the Sitkovetsky transcription of Bach’s Goldberg Variations, Beethoven’s String Trio in D Major and “Thrice blest,” a world premiere based on music by West Newbury composer John Tufts. The event, which runs from 5:30 to 9 p.m., also includes a tour of the historic home and a wine and hors d’oeuvres reception. Tickets are $75. Reservations are required. For more information, call 978.463.9776.